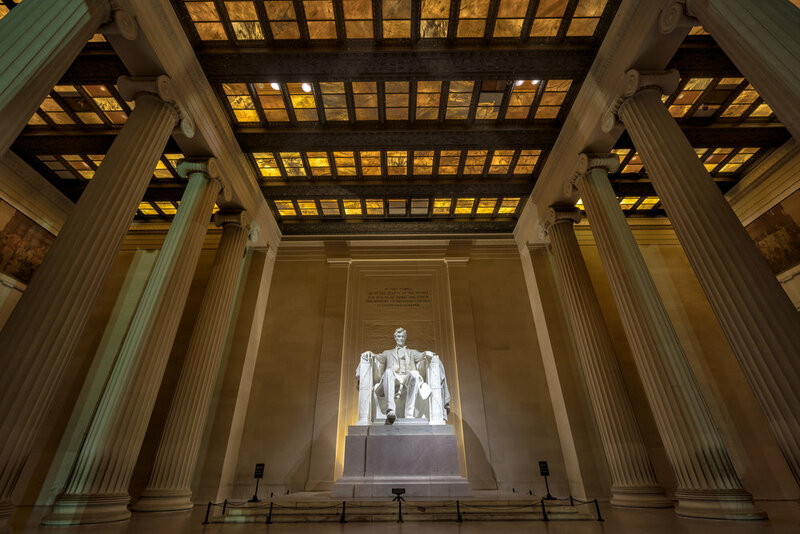 Most people ask me where I park and my path I take when I am shooting the National Mall for sunrise so figured why not share my path as well as some of the images from those areas on most mornings. Keep in mind I don't always make the 100% loop and have marked the sections I walk 50% of the time in a dashed line vs the full line. Where I park - During my early morning cycles with the exception of Cherry Blossom season and when they have events blocking off the lot, I park in the Tidal Basin Paddle Boat lot close to Independence ave and the Floral Library. 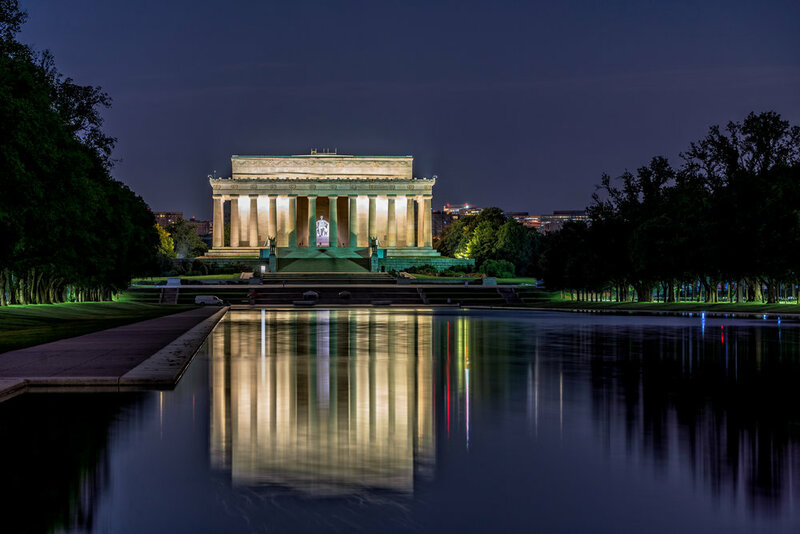 I then walk along the Lincoln Memorial towards the Lincoln Memorial, stopping along the way if the reflections or something catches my eye. 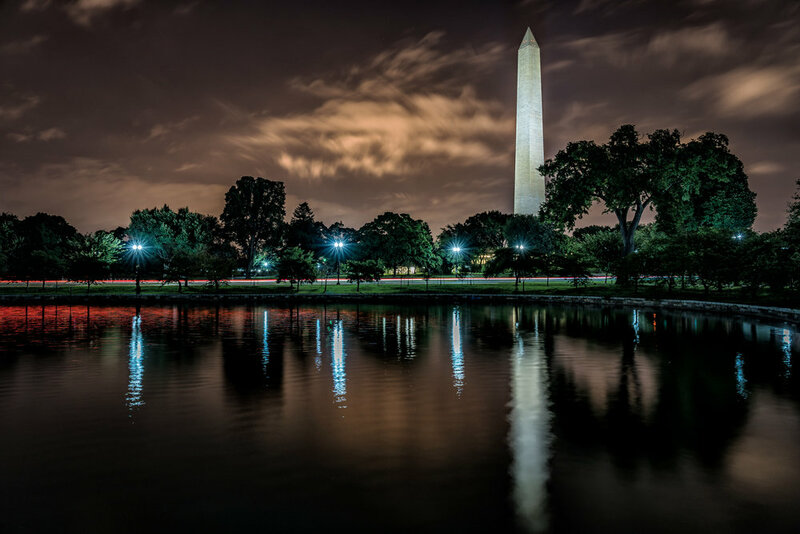 I also sometimes walk along the walking path just up from the Reflecting pool as you can get some nice shots of runners or walkers under the lights with a little early morning glow or fog in some cases. 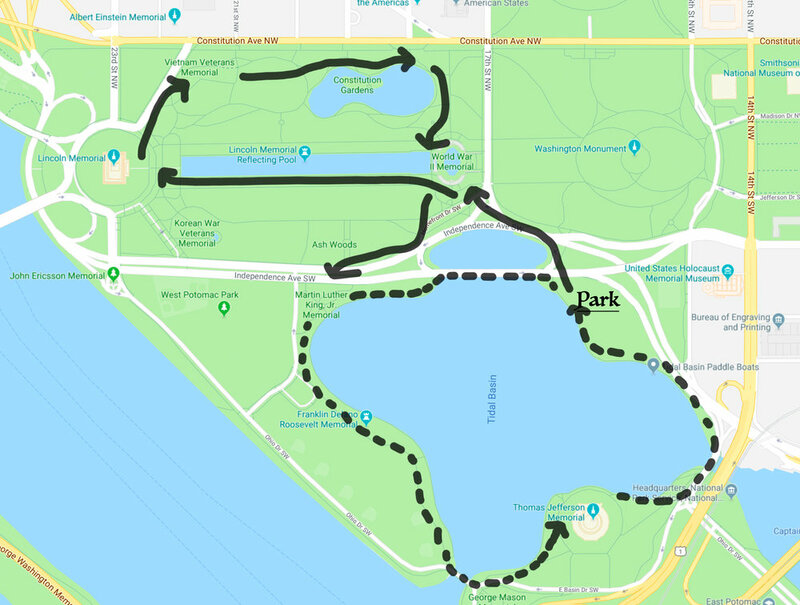 I then proceed towards the Vietnam Veterans Memorial or wait at Lincoln for the sunrise light then proceed depending on which I want to try and catch first light on. Walk around Constitution gardens stopping again if anything catches my eye and back towards the WWII memorial. Jump in the Jeep and play in traffic on my way home to start culling images.